When Alex Zanardi lost both of his legs in an almost fatal crash at the Lausitzring in Germany in 2001, many believed his open-wheel racing career was over. Less than two years later, the Italian racing driver was back behind the wheel competing in the FIA World Touring Car Championship. Despite his limitations, the inspirational driver has continued to push himself to the limit, achieving the impossible including testing a Formula 1 car for BMW Sauber in November 2006 and becoming a two-time Paralympic gold medalist. In 2015, director Tim Hahne decided to bring Zanardi’s inspirational true story to the big screen with NO LIMITS: IMPOSSIBLE IS JUST A WORD. The 60 minute documentary feature film follows the ex-Formula 1 driver, two-time Indy Car champion and Paralympic gold-medalist as he prepares for one of the most famous endurance races in the world: The 24 Hours of Spa. The documentary covers Zanardi’s entire journey, from his first visit to the BMW headquarters in Munich eight weeks before the race, to race day as the team prepare for their biggest challenge yet. Clips from the team’s preparations intercut with one-to-one interview segments with fellow teammates ex-Formula 1 driver Timo Glock and touring-car champ Bruno Spengler, as well as in-car race footage from the 24 hour race. 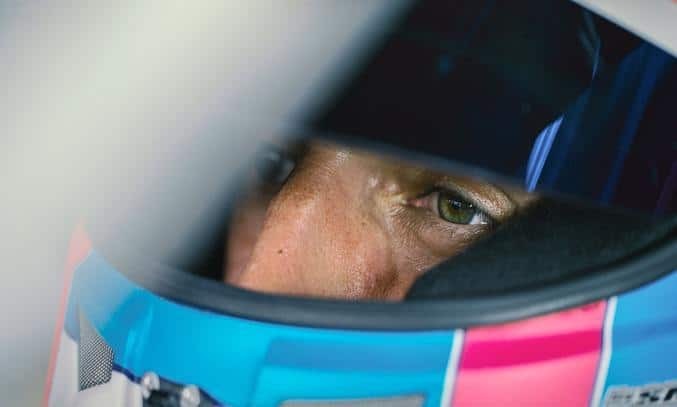 The film marks the first time Zanardi has shared a car since losing both legs in 2001 and the first time a handicapped driver competed in a 24 hour race with able-bodied drivers on this level. Unlike other motorsport documentaries which can be long and laborious, director Hahne does a fantastic job of capturing the internal pressures of the drivers and camaraderie of the team. The audience is given an insight into how Zanardi’s limitations, such as his ability to reach the brake pedal, are overcome with modifications to the car. 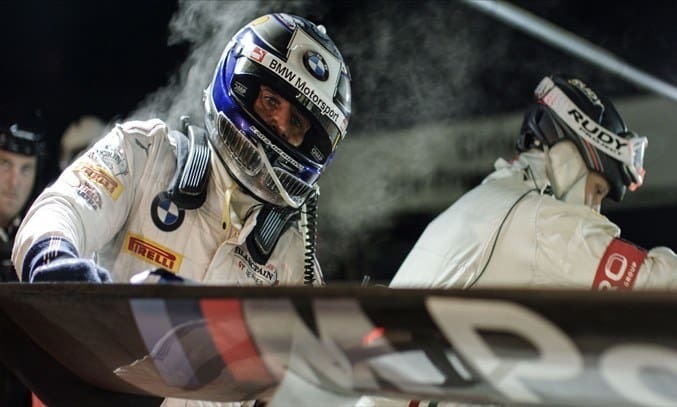 Zanardi also describes the physical pressures he must endure, such as how his has lost the ability to control over his body temperature because his two prosthetic limbs won’t allow his skin to breathe, an effect we see when he exits the car and steam pours off him like fire. As a motorsport fan, I enjoyed watching the team’s preparation but those not familiar with Zanardi or the 24 Hours race may feel the cinema feeling a little disappointed. The biggest flaw with NO LIMITS is that background knowledge is assumed. No effort is made to explain the intricacies or challenges of the 24 hour race, or even of the circuit itself, which is considered to be one of most challenging because of its high speeds and changeable weather conditions. There is also little to no background into Zanardi’s crash which I expected to see, if even just to put his amazing recovery in perspective. As such, those unfamiliar with Zanardi or the 24 Hours race may find it difficult to fully understand the difficulty of the challenge. That said, there is plenty to love about NO LIMITS. Visually, the film boasts some great camera sequences by the Director of Photography Julius Jacoby. The in-car scenes during the race are particularly exciting as the team fight for space on narrow the track. Hahne also experiments with extreme close-ups and some slow motion sequences, giving us a glimpse into the intricacies involved during the fast paced pit stops. It is also hard not be inspired by Zanardi. The charismatic, funny and passionate man has a true champion’s attitude and his love of life is infectious. He openly admits that if given a choice, he wouldn’t go back to his old life despite his life changing injuries and continues to live for each day, pushing himself to the limit. His determination is even more apparent when four days after the 24 Hours of Spa, Zanardi is defending his white jersey at the Handcycle World Championship in Switzerland! If you’re a motorsport fan or are familiar with Zanardi’s story, you’re sure to enjoy NO LIMITS. A inspiration story about pushing yourself beyond your limits and limitations. NO LIMITS: IMPOSSIBLE IS JUST A WORD makes its UK cinema premiere at the 2016 Manchester Film Festival.